When meeting with important clients, or just bringing the team together, you’ll want to consider the location carefully. You can always have the meeting at a bar somewhere, but run the risk of considered low-brow, and of someone having a drink or two too many. You can also do it in a hotel lobby, but that can be busy and full of potential eavesdroppers. So have you given any thought to renting a meeting room? Undoubtedly the most important category is cost. 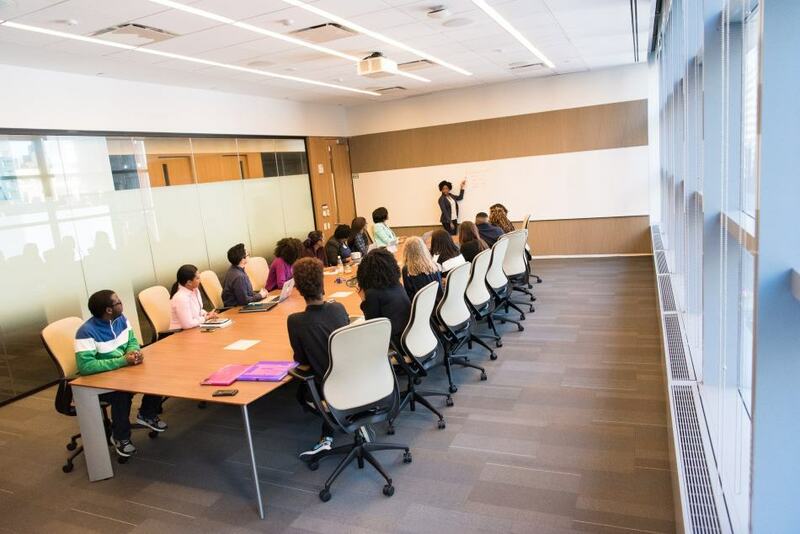 At first, it may seem expensive to rent a meeting room, but consider the larger picture: You can choose to only rent a meeting room only for the time you will use it, or you can choose a month to month lease that will be lying unoccupied most of the month. A one-off payment for a room for a couple of hours solely for the duration of your meeting is much more cost effective than paying out month after month for a space that will sit vacant. Having a space in an office requires maintenance. Common areas will normally be kept to a high standard, but will a meeting room that is used once a month be held up to the same level of scrutiny? Afterall, it’s only used occasionally, so the team may go in, hash out what they have to do, and not worry about the mess until later. That later becomes much later, until eventually you’ll be paying a premium for repairs in a rarely used space. But there is more to consider when renting your meeting room. Often meetings (and meeting attendees) suffer from a big problem; hunger. Either you allow your attendees to enter and leave as they like, disrupting the meeting, or have everyone sit and suffer through it, thinking more about their stomachs, than the actual matter at hand. Even if you set a lunch break, people will head out, and lose track of time on a sunny day, when the last thing they want is to come back to a meeting. When renting a meeting room, you have an option to get your breakfast and lunch catered.You’ll no longer have to worry about anyone being hungry, or wandering off for an extended amount of time. Everything is conveniently right there and ready for you. Change is a good thing. And with a change of place, comes a change of mind. It may be that your meeting is to try to discuss a problem and brainstorm solutions, or host a quarterly Board Meeting. A change in venue, from your own office, to a stylishly decorated meeting room may be just the thing you need. A new settings will help your team’s minds focus, and realize that this is important, to be on their “A-Game”. Renting a meeting room, rather than just having your meeting in the same office as usual may be key to this state of mind change. What is available in the room? And what will you need? Sure, you can pay for, and have a couple of TVs installed. But how do you set them up? Are they properly wired up and do you have access to tech support? You’ll also have to consider how clean the room is, and if staff has been using it as an extra work area or a break room. You’ll also have to know ahead of time how many people will be in the meeting, and have to set up the room for them. A small meeting might only need two or three tables, but a larger one can create some challenges. Not to mention your staff now has to arrange their own chairs and tables, and then put everything back, when they should be acting on the results of the meeting. These are the key areas you’ll have to consider when renting a meeting room. But when you decide it really is the better choice, why don’t you see the rooms that The Rostie Group has available, and start here? With us, you’re covered for catering and for all the services you need, in stylishly decorated rooms just steps away from Union Station. Happy Canada Day from The Rostie Group! The Rostie Group is now on Google News!